Much like barbecue joints and coffee shops, there’s no denying that a bakery is nearby when its familiar scent hits you. It’s a smell that’s as recognizable as it is intoxicating, one that beckons your taste buds regardless of the time of day. Warm and flaky or sweet and moist, Kansas City’s bakeries are serving hungry patrons with scratch-made pastries, cupcakes, loafs and, well, pretty much anything that rises in the oven and gets our stomachs growling. 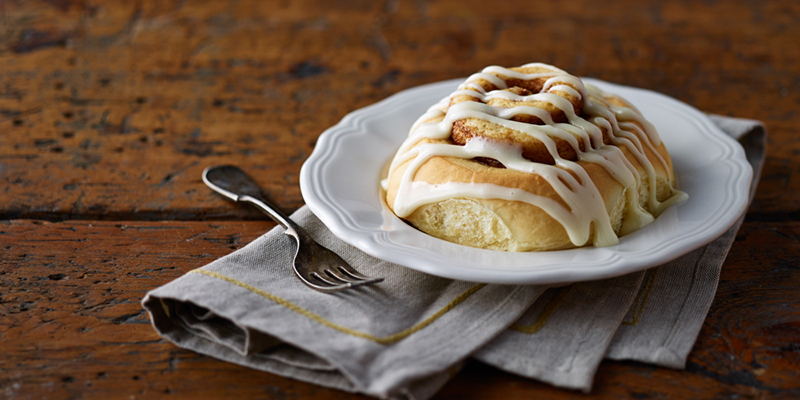 Not all bakeries are created equal. Some focus on one special item (to everyone’s delight) while others make dining the central component of their business (again to everyone’s delight). Take McLain’s Bakery, for example, a full-service café offering breakfast and lunch, each bolstered by the establishment’s fresh baked goods. 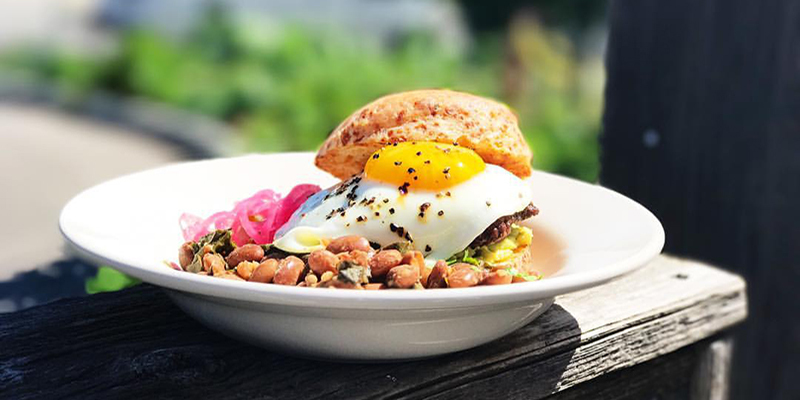 Build your own biscuit sandwich at Heirloom Bakery & Hearth, a Brookside favorite known for daily-made items that range from roasted pear and chocolate scones to some knockout homemade Pop-Tarts. 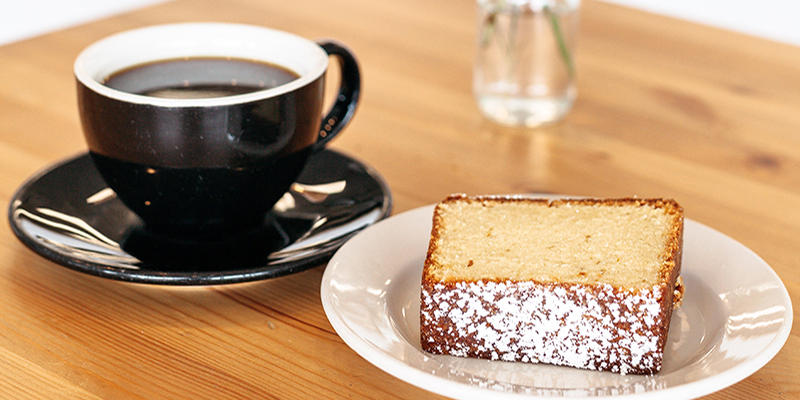 Sasha’s Baking Co. is a cozy hangout in Downtown KC that boasts a mighty menu of fresh meals and inventive baked goods—follow them on Instagram to keep up with new creations. Head to North Kansas City to visit Le Monde Bakery, a French-inspired shop with comfort options like chicken curry soup with rice, a BLT croissant sandwich and other favorites. Fondness for sweets? You’re in luck. 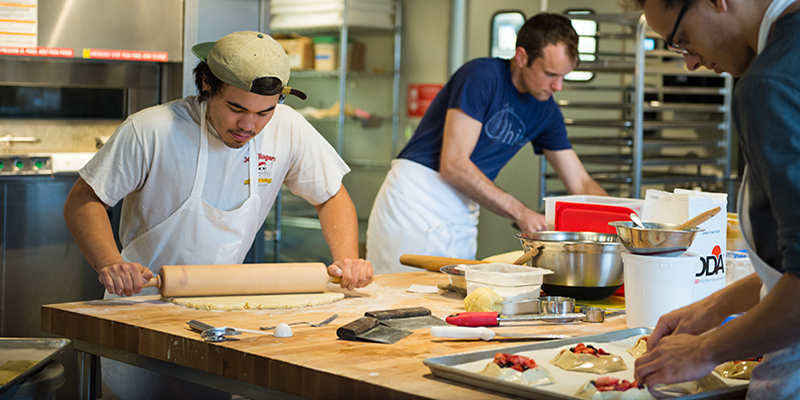 At the edge of the Crossroads Arts District, you’ll find Brioche, an artisan pastry spot that features an array of much-coveted breakfast items, such as croissants, Danish and brioche cinnamon rolls, where the establishment derives its namesake. 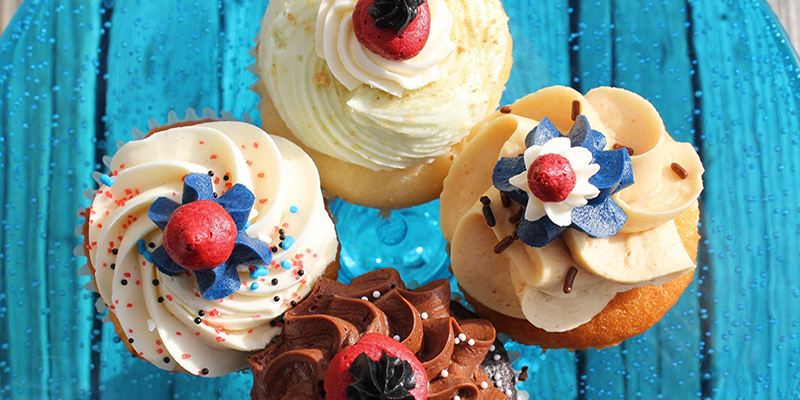 Indulge your sweetest tooth at several cupcake places around town, including Baby Cakes (River Market), Small Cakes (Olathe) and Cupcake A La Mode (Country Club Plaza). Bloom Baking Company invites guests to watch as the bakers work their magic on cakes, macaroons and more by peering through the big window outside the store. 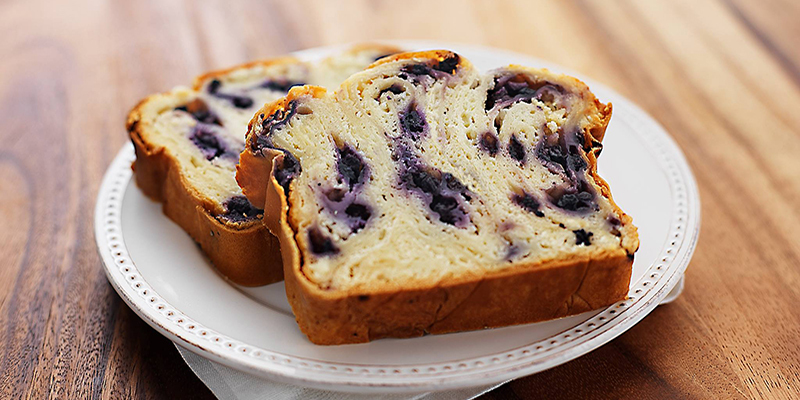 Creations offered by Dolce Bakery are nearly as beautiful as they are delicious, while simple, home-style classics are crowd-pleasers at Home Sweet Home Bakery. Grab a slice of decadent pie at either Upper Crust Pie Bakery or Ashleigh’s Bake Shop, both known for their huge selections of flavors (and plenty more if given 48 hours’ notice). Through process of innovation and necessity, many shops around town have carved out specialty niches in the realm of quality baked goods. Venture over to West 39th Street and you’ll discover Mud Pie, an all-vegan coffeehouse with a display case full of delicious baked goods made entirely without animal products. 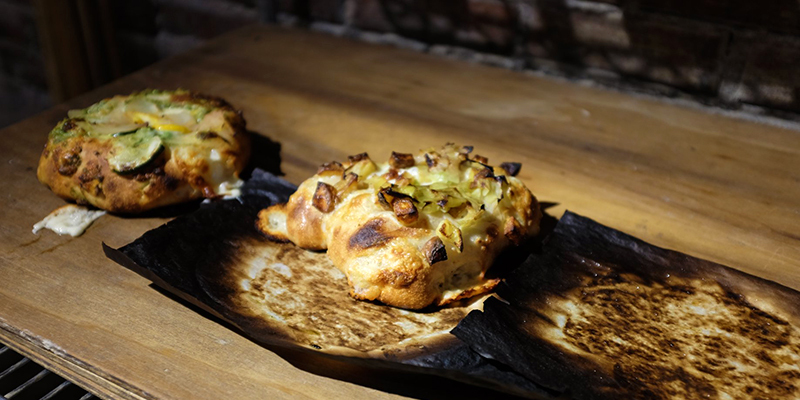 Fervere may make a mean loaf of bread, but its cheese slippers—think the best possible version of cheese bread—are what keep people lined up outside the storefront, while they last. Get your gluten-free goods at Mama Resch’s in Overland Park and authentic apple strudel at MeMa’s Bakery in the Power & Light District. Meanwhile, Strawberry Hill Povitica is internationally praised for its incredible variety of European, “swirled” sweet breads. Don’t leave your pooch pals out, either. Visit Three Dog Bakery to treat your canine companions to fresh-baked treats made right in The Plaza establishment’s kitchen. With every specialty shop and confectionary in mind, sometimes all you’re searching for is a classic loaf of bread. Thankfully, KC has the hookup. 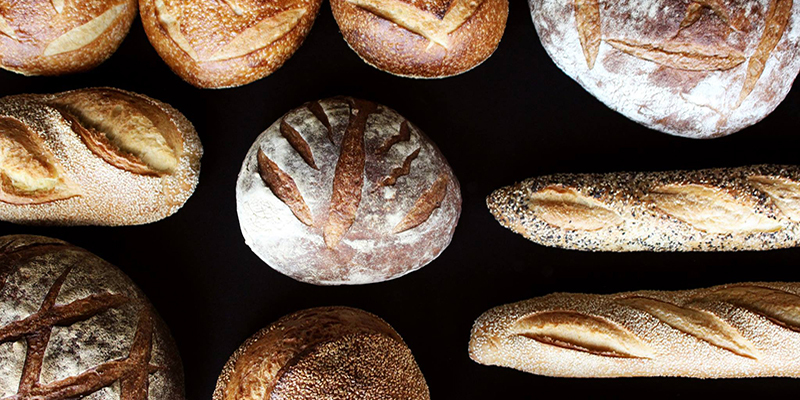 Seek out Farm to Market Bread Co. in stores or at restaurants all across the metro for an assortment of styles and flavors, from ciabatta and eight-grain to pretzel rolls and baguettes. Pick up stone hearth-baked breads and seasonal delights at Ibis Bakery inside Black Dog Coffeehouse in Lenexa or Messenger Coffee, or look for the Roma Bakery label, a Kansas City staple since 1923 that offers several varieties of Italian breads available in area grocery stores.